Step 1: Click your profile name on the left bottom of the dashboard >> Click "Edit Profile". 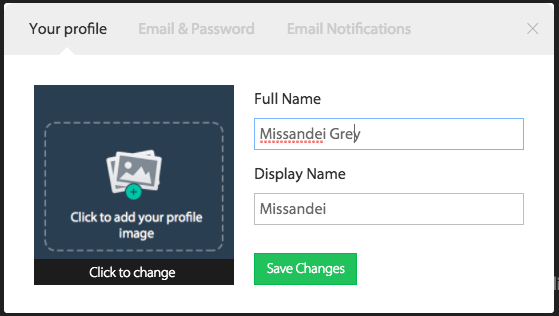 Under this section, you can add your picture and can edit your "Name" and "Display Name". Similarly other agent can login to their account's to add their picture. To add a new Display Picture hit "Click to add your profile image". Choose and upload an image to your profile. To change the display picture, click on the existing image, choose and upload a new image. You can change/update your email id from this section. Click "Change Email". 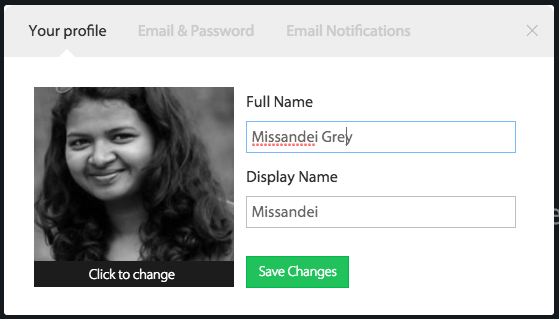 An email will be sent to your new email id for authentication. 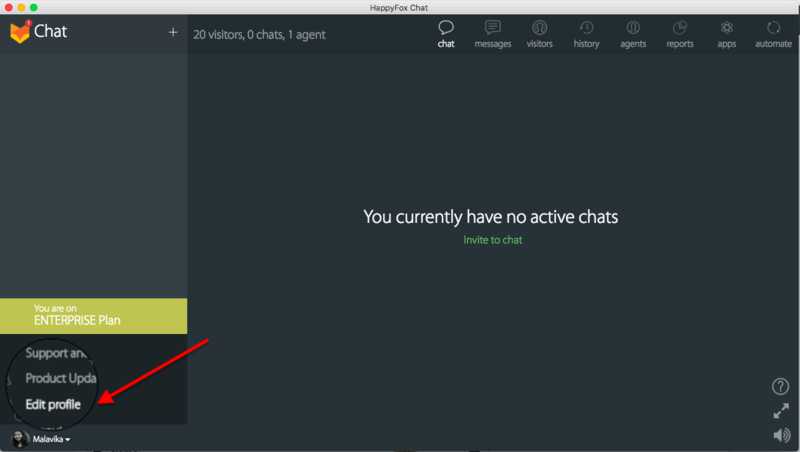 Confirm to access HappyFox Chat from new email id. 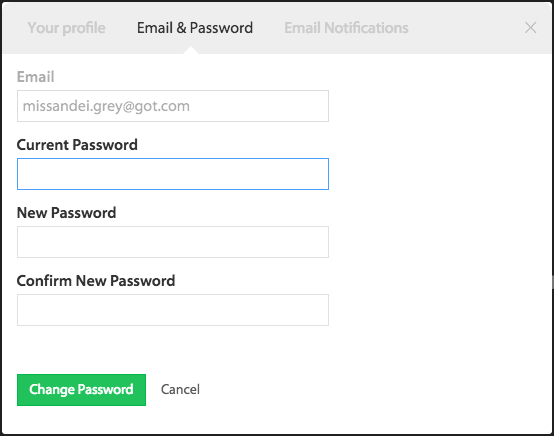 Click "Change Password" link right below the email id field and you will be able asked to enter the Current Password, New Password and Confirm New Password. Once done hit "Save" button. This section contains options to enable email notifications for chat rating.